Out of the 1,004 surveyed American adults over the age of 18, only 18 percent had a favorable view of government treatment of veterans, while 51 percent had a decidedly unfavorable view. A total of 41 percent cited healthcare services as the area with the most room for improvement, followed by employment opportunities at 16 percent. Creating more opportunities for veterans tied with reducing the number of homeless veterans. That healthcare ranks first as needing the most improvement is unsurprising, given the series of scandals kicked off at the Department of Veterans Affairs last year, covering everything from manipulated wait times and shredded benefits claims to mishandling of suicidal veterans and endless whistleblower retaliation. When the manipulated records at the Phoenix VA hit the public eye, former VA Secretary Eric Shinseki resigned. According to the survey, 34 percent of Americans don’t believe the non-profit sector is doing enough for vets, and 54 percent think the same of corporations. 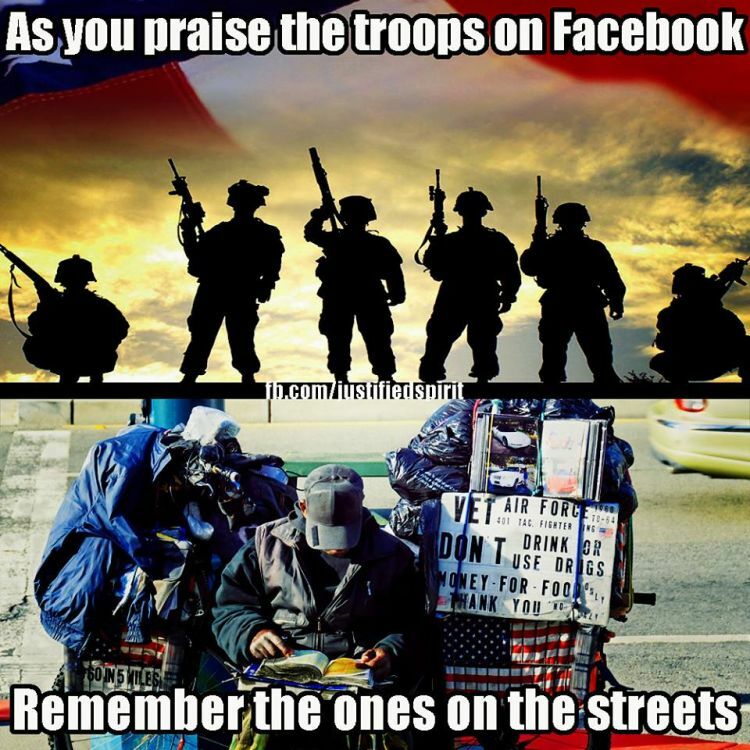 Part of the reason for the negativity, some say, is that while veterans are kept well-informed of non-profit and private sector efforts, the public often has no idea. “The surprisingly negative tone of the responses provided in the initial Veterans Issues Poll shows that in spite of some truly herculean efforts by the public and private sector in the last decade, organizations working to support veterans still need to do more to help educate the broader American population on the vast amount of time, money and attention being expended to support veterans and their families,” said Fred Wellman, CEO of ScoutComms, a social enterprise which aims to support veterans and military families. “We’re not doing an effective job informing the American public,” Wellman added. The poll was conducted online from Aug. 11-13 and has a margin of error of plus or minus 3.5 percentage points.